If you’re looking for a little old-school American-themed gaming then look no further than WMS! WMS, or at it was originally known Williams Interactive, wrote the book on slot machines in the USA and has a history that dates all the way back to 1964 when in initially began life as a pinball machine manufacturer. In the 90’s, WMS moved into slots and went on to produce some of the world’s most famous games including Monopoly and Reel Em In. Reel ‘Em In was actually the first game that utilized multi-line and multi-coin secondary bonus payouts, which had a huge impact on the industry. In 2012 the company moved into online games with its subsidiary brand WMS Interactive. At first, WMS Interactive focused mostly on converting the company’s real-life cabinets to the online world. Players were thrilled as it was the first time they were getting to play classics like Amazon Queen, Black Knight, Monopoly, Star Trek, Zeus and others from the comfort of their own home. Eventually, WMS Interactive would move into creating some games purely for the online world but it was generally the classic machines that attracted people to the software. These days, WMS is a member of the massive Scientific Games conglomerate, which also includes Bally, Shufflemaster and SG. Nonetheless, Scientific Games still makes classic WMS games available to the public but all new WMS titles are released under the SG name. WMS slots are known more for catering to the old-school Vegas crown and its software is also a bit old school. The entirety of WMS catalog is available for play in-browser utilizing Adobe Flash technology. Flash is fine for desktop operating systems like Windows and MacOS but it’s a little more difficult for mobile devices. Players looking for a quick spin on iPhone or iPad will likely want to look elsewhere for their gaming fix. There are several Android devices that will allow you to play WMS but it’s definitely not the first choice for mobile players. Interestingly, WMS has created special mobile slots for devices that can run flash. The games are scaled down but work quite well. Be warned that it’s a relatively small selection of games. The flash software runs well on any machine that can run a flash-equipped browser. WMS games are actually quite similar to their land-based counterparts with simple but effective game mechanics. All the sound effects are perfectly managed to the physical slot machines too. It really feels like you are playing a high-end video slot at home. Players who dislike the fancy, cluttered style of some modern online slots may want to take a closer look at WMS. Perhaps the only time where the simpler graphics tend to detract from the overall product is during the free spin bonus modes. A jackpot should feel like a jackpot and the graphics fall somewhat short of illustrating that point. WMS is a slots company through and through and has never dedicated much time to other gaming niches. On the other hand, WMS has been one of the most influential slot developers in history and has added many improvements and innovations to the modern reel over the years. Ironically, WMS (or Williams as it was originally known) has produced a great deal of non-casino technology over the years including some of the most iconic pinball machines ever created as well as a number of famous video games. WMS has been creating slots longer than most online casino companies have been in existence! The former pinball giant got into slots in the early 1990’s and would go on to create one of the largest portfolios of popular slots in history. A large number of physical machines made their way into the online world thanks to WMS Interactive and there are now over 100 different games available to online players. Some of the most famous slots that WMS has ported to online include Monopoly, Black Knight, Clue, Star Trek, Montezuma, Zeus, Wizard of Oz, Amazon Queen and Spartacus. The online catalog also includes Reel Em In, the first-ever machine to offer multi-line payouts. All the aforementioned slots should be familiar to anyone who’s ever stepped foot inside a physical casino in Las Vegas. One note about WMS: You won’t find any new games under the WMS name. That’s because parent company Scientific Games made the decision to use the WMS brand solely for classic games while developing new games under different brands. Surprisingly WMS has never offered table games of any kind. Even stalwarts like Blackjack and Baccarat are not available on the company’s software. That’s likely thanks to the fact that WMS has always been a cabinet-facing manufacturer going all the way back to the 1960s. WMS does not offer a live-streamed casino of any kind. It would not be surprising if parent company Scientific Games soon offered a product in this rapidly growing segment, however. These days, WMS is focused solely on slots but there was a time when the company was a titan in the pinball and video game world! The company’s founder Harry Williams was actually the person who invented the tilt mechanism for pinball machines. Meanwhile the video games devision of Williams, called Midway, went on to create giants like Mortal Kombat and NBA Jam! 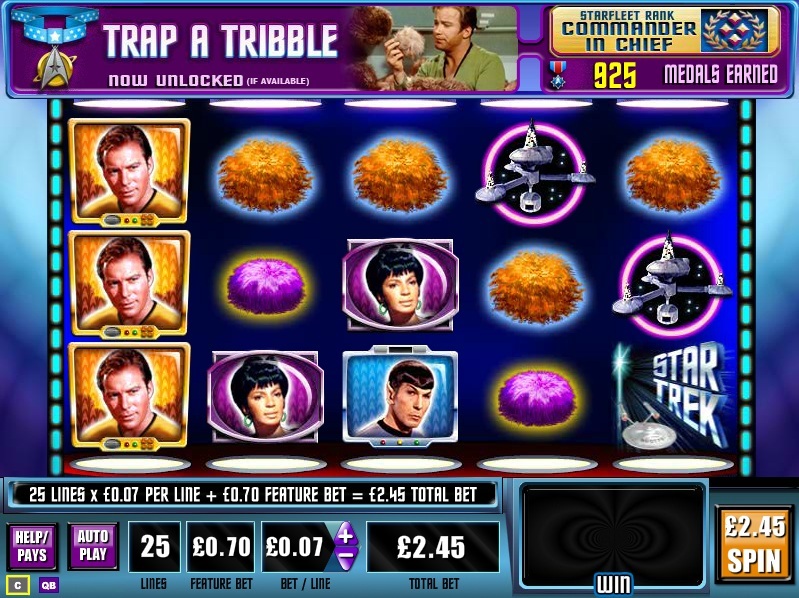 The company does compete in the social gaming space with the free-to-play app Slots! Jackpot Party Casino. WMS has a long and winding history that dates all the way back to 1943 when Harry E. Williams founded the Williams Manufacturing Company. Williams was originally a pinball manufacturing company and produces some of the industry’s most popular games including The Addam’s Family and Twilight Zone. The company that would become WMS, Williams Electronics, was actually founded in 1974. By that point, Williams had started to create video games including classics Defender and Robotron: 2084. In 1987 Williams Electronics changed its parent name to WMS Industries (a shortening of Williams) and made its first public offering. WMS entered the slot machine market in 1994, where it would go on to become one of the most famous gaming manufacturers in the world and created some of the most famous slots ever to be found in a casino including Monopoly and Reel Em In. In 2013 WMS was acquired by gaming giant Scientific Games and operated as a subsidiary of the company. In 2016 WMS was reorganized and fully merged into the Scientific Games umbrella, which also includes SG, Bally and Shufflemaster. People tend to love or hate classic slots. If you love them, then you’re going to want to check out a casino that partners with WMS! The WMS catalog, which includes Monopoly, Amazon Queen and Star Trek, is so iconic that it will likely garner a feeling of nostalgia from anyone that has frequented brick & mortar casinos, especially in the USA. On the other hand, if you’re looking for something new you’re not going to find it on WMS. If you’re looking to experience the new wave of slots that came out of Sweden in the mid-2010s then there are plenty of other developers that you’ll want to try!